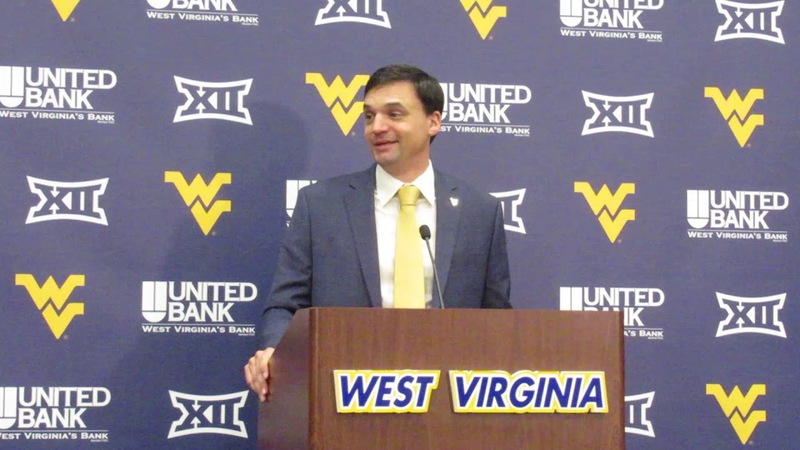 The Good, Bad and Ugly of new West Virginia Head Football Coach Neal Brown. Preface: Neal Brown was a fine choice as Head Coach of the Mountaineer football team and this is not a hit piece against him. Rather, this article is designed to reveal that the good ole boy West Virginia media’s chosen narrative is not always entirely accurate. Neal Brown is merely the sacrificial lamb. A whole, equitable reality should always be represented in journalism and West Virginia journalists are simply incapable of that. They pander to your weaknesses and unfortunately a weakness of West Virginians is their love of all things WVU. Rather than painting an entire picture they focus only on the pretty, beautiful parts. They paint the flowers and sunshine and birdies flying about and ignore the ugly, real parts. This of course is unfortunate because West Virginians often don’t get an accurate representation of most situations. There simply aren’t negative, ugly pieces written in West Virginia sports media and that’s a shame. Both the positives and the negatives exist. There are journalists in our state that have been working for many, many years and have never written anything but the rosy, cheerful, sentimental side of West Virginia sports. They have profited off your strong sense of community and love of West Virginia. It’s my contention that there is a large group of fans that have grown tired of this old, antiquated way of things being done in our state’s sports media. This article is for you. Those who aren’t ready for it, you might be better suited reading Bob Hertzel. The Good: Brown took over a Troy team that went 3-9 the year before his arrival (2014). His team went 4-8 his first year but went 31-8 the next three years he was at Troy. Although he is considered an offensive guru because of his background as an offensive coordinator, his teams shined defensively while at Troy. New defensive coordinator Vic Koenning’s defensive squads are consistently among the nation’s top teams in takeaways. The Trojans ranked third nationally last year, forcing 31 turnovers. They were ranked 16th and fourth in the previous two seasons. In addition, he has brought a sense of optimism and enthusiasm to the program not seen during the Dana Holgorsen era. He is a family man and the players seem to really like him so far. He will always say the right thing and make decisions based on his principles. Neal Brown is not someone that we have to worry about getting drunk and thrown out of a casino or having an affair with his secretary. He’s wholesome and he’s young and he’s talented. He’s a very good, safe hire for West Virginia. The Bad: Troy played one team last year ranked in the Top 25 and they were defeated badly, losing 56-20 to the then 22nd-ranked Boise State team at home. They did beat Nebraska in Lincoln early in the season, but Nebraska at the beginning of the season was one of the worst teams in the nation. Troy also lost to Liberty and Appalachian State last year. During the 2017-2018 season, they averaged 30.7 points per game, which was 51st out of 130 Division I teams. It is unlikely that Neal Brown is fully equipped to handle the pressures and challenges of the Big 12 in his first season. He will be doing a lot of on-the-job training during his first season with the Mountaineers and that will lead to growing pains. Early season out of conference games against Missouri and N.C. State could be brutal before the always tremendously-difficult Big 12 Conference schedule. Neal Brown has no ties to West Virginia. This hire feels an awful lot like the John Beilein hiring in basketball back in 2002. Both were very respected, talented coaches that moved around quite a bit before settling at West Virginia. Neither had any previous connection whatsoever to West Virginia before being hired. If (when) Neal Brown is hugely successful at WVU, what will keep him here? Brown, following a few years of great success as the Mountaineer Head Coach, will be courted by every big-time university in the country with a coaching vacancy. This doesn’t feel like a long-term solution. Neal Brown is the anti-Dana Holgorsen and an outstanding bridge coach to the program’s future, but to expect Brown to have any real loyalty to the program is naive. We don’t like to think of WVU as a stepping stone job, but its recent history suggests that it is. Another major concern with Brown is recruiting. He will quickly find (if he hasn’t already) that recruiting players to WVU that can compete in the Big 12 will be a lot harder than he’s used to doing and it will be even harder because he’s recruiting them to Morgantown. He’s made it clear that he wants to focus on keeping in-state talent, but you’re not going to win many games in the Big 12 with West Virginia high school talent. The challenge of getting elite talent to Morgantown has proven to be extremely challenging in the past and it won’t get any easier with a Head Coach that will be a fish out of water during his first few years. In Closing: There’s reason to be cautiously optimistic about next season and the future of West Virginia football under Neal Brown. Despite his obvious flaws (or rather, his current inadequacies) as a first-year coach in the Big 12, excitement is high among fans and more importantly within the program itself. Getting players to buy in to a new regime is always priority number one for any coach and Neal Brown has accomplished this early on. It will be an uphill battle this year, but with a mix of buy in and current talent anything can happen.